Who's looking at my website? We all know how monstrous Google appears to be, but you can actually narrow your focus and improve your business with Google Analytics installed on your website. Ask the people who take care of your website to setup your Google Analytics account. No worries, it's actually free and no advertising. Just make sure the people who setup and install the code on your website have some certification from Google, confirming they have the skills. Proper installation is important if you want this to really be of benefit to your spending. Being able to collect reliable data from your entire website and all your domains means more knowledgeable decisions and better campaign execution. For something of this magnitude (installing Google website UA-XXXXXX tracking), you'll want to make sure the people who install your Google Analytics Tracking Code, understand how Google Analytics collects data from websites, mobile apps and other digitally connected devices. An expert can help you add your own data, by importing it into Google Analytics from outside sources. You can even modify the data in your Google Analytics reports to specify your goals. Google created this Google's Analytics Academy Course called Google Analytics Platform Principles. It concentrates on learning how Google uses Collection, Configuration, Processing, and Reporting to analyze digital data to help you improve your business. There are several videos you can watch to help you, but if you don't ask the right questions or pass the test, how good do you feel about the outcome? I'll tell you how, get someone to do it for you. 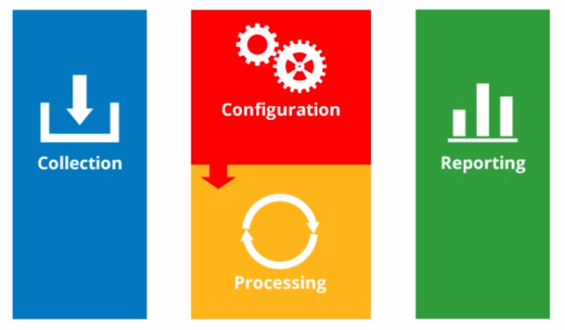 By the time you learn how to setup your account, you still need to learn how to connect the code and understand how common configuration settings can transform your data and how data is aggregated in the final stages of processing. We can setup and install your Google Analytics account so that your receive automated reports directly from Google, showing you data you can use to improve your business. In the end you will be able to recognize why digital analytics tools like Google Analytics are important to implement for your business. "Digital analytics" is the analysis of qualitative and ___________________ data from your business and the competition to drive a ___________________ of the online experience that your ___________________ and potential customers have which translates to your desired ___________________. 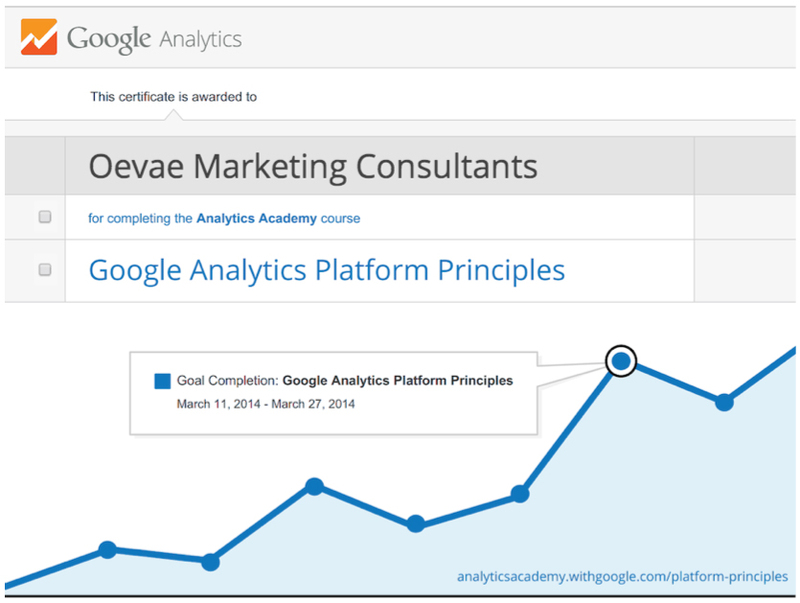 At Oevae Marketing Consultants, we have worked with Google marketing tools over 15 years and we received our Google Analytics certificate for completing the Analytics Academy course Google Analytics Platform Principles. Our clients call upon us for online marketing insight and creative ideas.